More than just a little plant doctor! 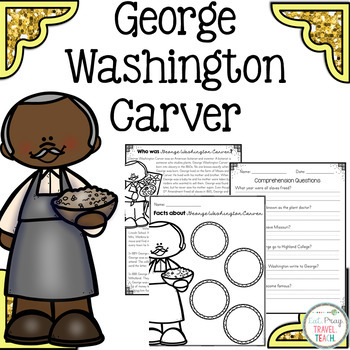 Your students will learn about the impact this influential individual made on those around him. Did you know he was friends with Booker T. Washington? 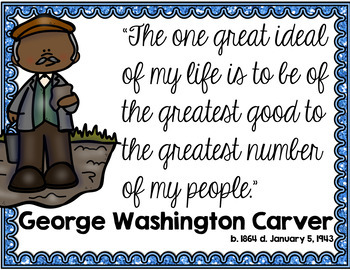 At the Tuskegee Institute George Washington Carver went on to learn much to impact the agricultural world. He was a man with a passion for the arts as well. Born into slavery he is a true example of determination!